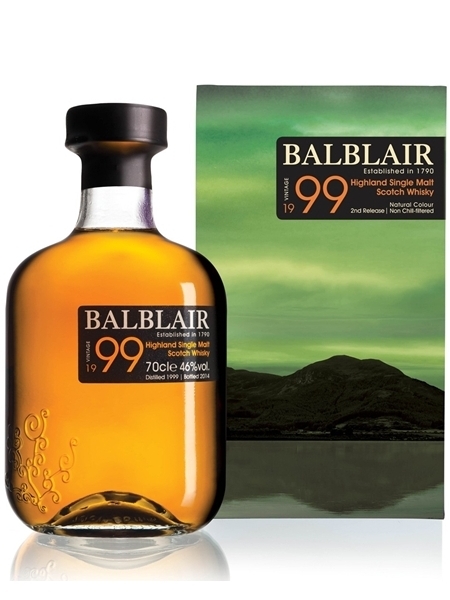 Balblair 1999 (~€80) was a travel retail release in March 2014. The full-bodied whisky was matured in Spanish oak, ex-sherry butts giving it a rich, warm spice flavour. It is natural coloured, non-chill filtered and bottled at 46% ABV. © 2019 Acrux Beverages Ltd. Website by Bibio Web Design.